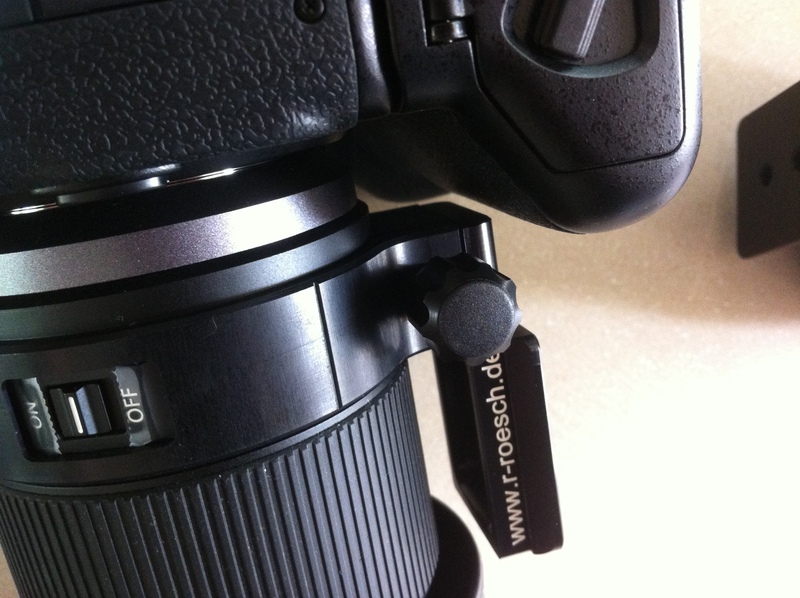 Could this be the answer to lens mounting Micro 4/3 cameras with battery grips? 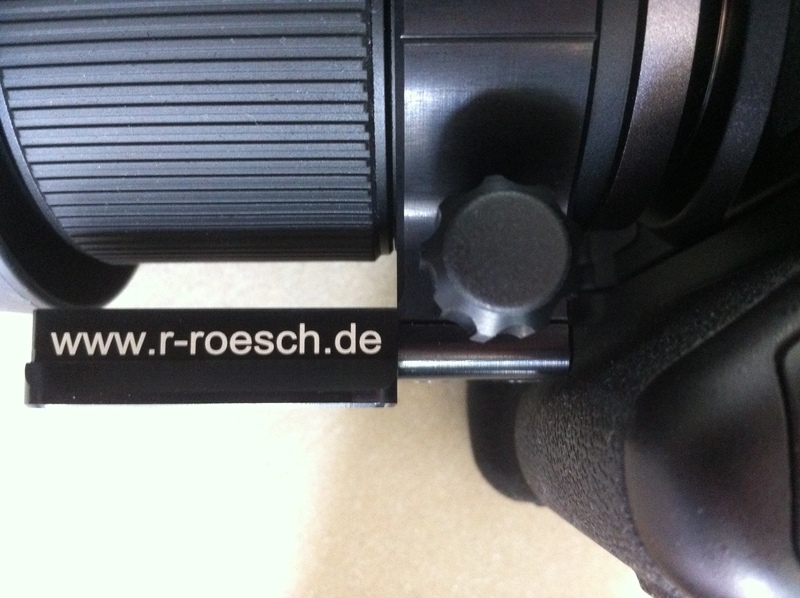 Andrea from Roesch Feinmechanik kindly sent me their newly designed Acra Swiss compatible foot that screws into their collars for the Panasonic 100-300mm and 35-100mm lenses. This is the third iteration of foot from Roesch Feinmechanik and demonstrates a progression and evolution. 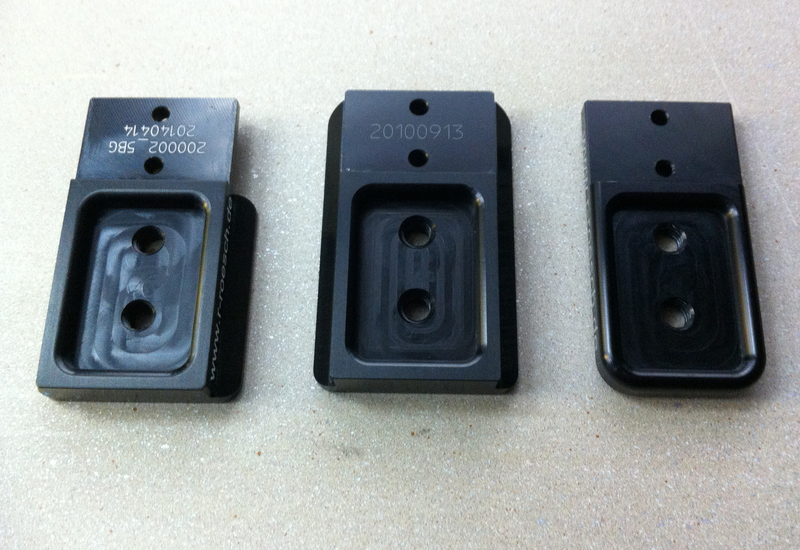 The first foot was not Arca Swiss compatible and was designed to attach to support equipment via two ¼” UNC threads in its base. The second edition incorporates a clever and elegant Arca Swiss compatible dove tail as well as the two ¼” UNC threads. The new foot is designed to work with battery grip equipped cameras. The foot is essentially the same Arca foot as before but with extra machining at the point where it affixes to the collar. It’s approximately 2.5mm thinner at one end. The original Arca foot just about clears the GH3 with battery grip when used with the 100-300mm lens. With this new foot you have an extra few mm space between the grip and the foot itself. That is a welcome increase in clearance. The original Arca foot did not fit with battery grips when used with the 35-100mm lens. I have written an article that shows my solution to the problem (here). Unfortunately this new foot (designed for battery grip equipped cameras) doesn’t work with the GH3 and battery grip (and therefore the GH4 and battery grip). It’s till just a little two tight; about 2mm extra clearance is needed. In testing with the 100-300mm lens the new foot feels similarly rigid in use, although obviously the reduced thickness will have weekend the foot to a degree. I doubt it will be significant in practice, however I don’t intend on testing its tensile strength out!! For me the close tolerance fit of the original Arca foot with the 100-300mm lens was not a big problem, I am just careful when mounting and dismounting the lens from the camera when the grip is attached. However if you’re the kind of person who is all fingers and thumbs the extra clearance will certainly prevent cosmetic damage to either the grip or the Arca foot. From an aesthetic and mechanical perspective there is something very pleasing about the newly designed foot! I have to say I prefer its feel, fit and function compared to the original Arca foot. 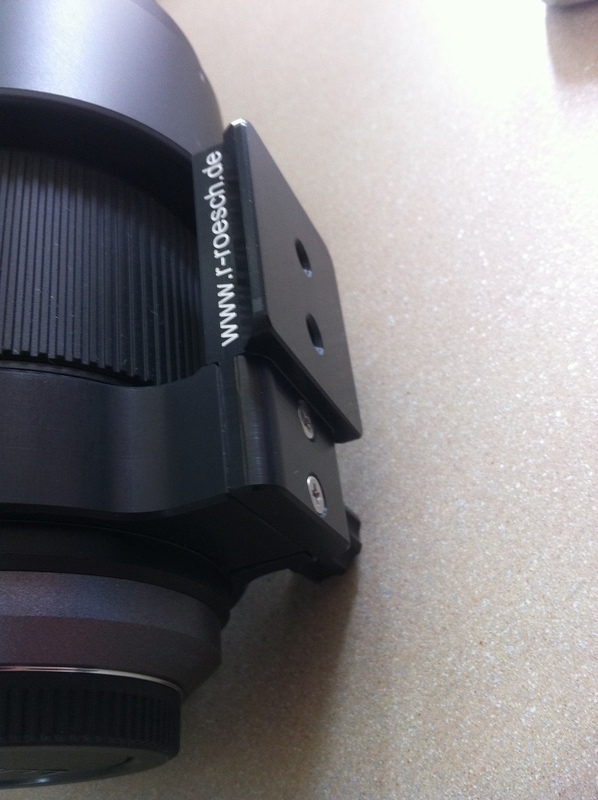 The fact the new foot is still a few mm too tight to allow the 35-100mm lens to clear the grip is a great shame. On the positive side of things hats off to Roesch Feinmechanik for acknowledging the battery grip issue and responding to filmmakers and photographers requests!